Solve the equations for the steady state. Numerically simulate the symbolic expression in MATLAB by using matlabFunction and ode45. Save your mathematical model back for use in Simscape. Create a custom equation based components for the Simscape Library using the Symbolic Math Toolbox. 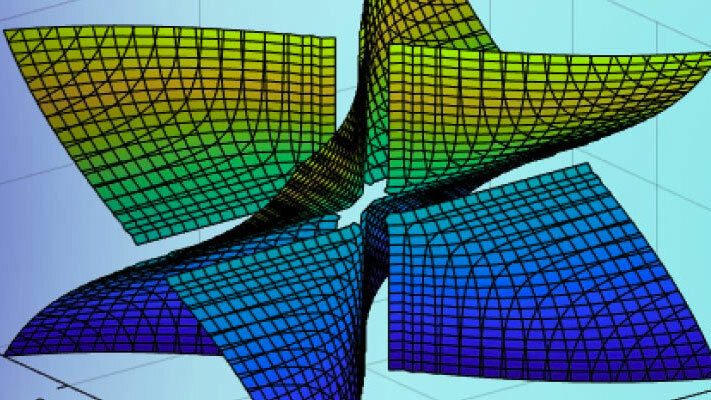 The Symbolic Math Toolbox provides a flexible way to develop models from first engineering principles in any spatial dimension. You can develop mathematical models for steady state or transient physics. You can develop and solve the equations required to represent the physics necessary for your component; and perform your own reduced-order model mapping between the inputs x and a quantity of interest f(x). To run this example, you must have licenses for Simscape and Symbolic Math Toolbox. A DC motor is a device for converting electrical energy into mechanical energy and vice versa. A schematic of a DC motor is shown below (left figure). Blocks that simulate DC motors are provided in Simscape Electrical™ (right figure), which is an optional product for Simscape. 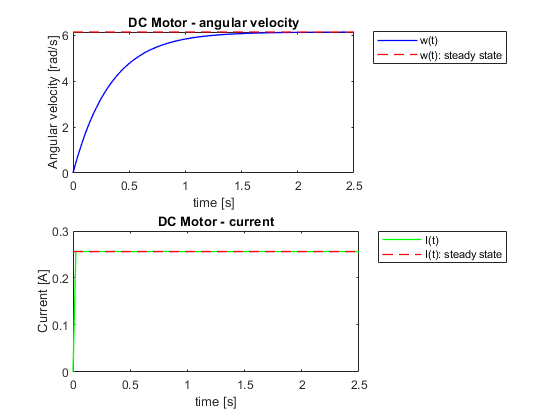 In this example, we will derive a reduced-order model representation of a DC Motor using the governing Ordinary Differential Equations (ODEs). For a DC motor, the electrical voltage and current is derived from Kirchhoff’s laws and the formula of the mechanical torque is derived from Newton’s laws. Using these equations we can implement a custom and parametric Simscape component. 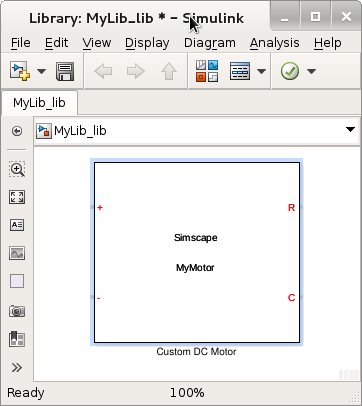 Suppose you have a Simscape component MyMotorTemplate.ssc in your current folder or on the default MATLAB path. This component has no equations yet. The template records the parameters and variables which will be used to develop our motor. You can use type to provide a preview of that template. Read the names, values, and units of the parameters from the template component. Display the parameters, their values, and the corresponding units as vectors. Add the parameter names to the MATLAB Workspace by using the syms function. Parameters appear as symbolic variables in the workspace. You can use who to list variables in the workspace. Read and display the names of the component variables. Use ReturnFunction to simultaneously convert these variables to functions of the variable t.
Add the variable names to the MATLAB Workspace by using the syms function. Variables appear as symbolic functions in the workspace. Verify that you have declared all required symbolic variables and functions using syms. The differential equations for the mechanical torque are defined as eq1 and eq2. I(t) represents the current and w(t) the angular velocity. The equations for the electrical voltage and current are eq3 and eq4. V(t) and Vb(t) represent the applied voltage and counter electromotive force respectively. We can list them together. Here, the motor’s torque is assumed to be proportional to the current. Extract the left and right sides of the equations. The second and fourth equations define the values tau(t) and Vb(t). To simplify the system of four equations to a system of two equations, substitute these values into the first and third equation. Before solving the equations, substitute parameters with their numeric values. Also, use V(t) = 1. For this, remove the time dependency for the functions w(t) and I(t). For example, substitute them with symbolic variables ww and ii. Create a valid input for ode45 from the symbolic equations. Use odeToVectorField to create the MATLAB procedure which represents the dynamical system dYdt=f(t,Y) with the initial condition Y(t0)=Y0. Solve the differential equation using the initial conditions w(0) = 0 and I(0) = 0. Evaluate the solution at the following points in time t=[0.5,0.75,1]. The first value is the current I(t) and the second value is the angular velocity w(t). We see that the solution for the angular velocity is starting to approach a steady state steadyStateW. Generate Simscape code using the original equations eqs. Display the generated component by using the type command. Build a Simscape library from the generated component.